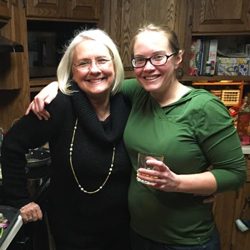 Kerry Shea with her mother, Stephanie Shea, who recently retired from several years working in education as a college counselor. Kerry was part of SMIF's AmeriCorps READS (Reading Early Achieves Potential) Initiative, a three-year grant period focused on preschool early language and literacy support. SMIF's experience in early literacy informed the Foundation's decision to change the AmeriCorps program design to social emotional skill development in 2008. 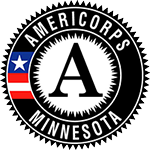 What led you to do AmeriCorps through SMIF? When I graduated from St. Thomas, I got a job in southern Spain (Seville) teaching English. After that, I wasn’t sure what my next should be, except that I wanted to continue to work with Spanish speakers. My father was working at SMIF at that point and told me about the AmeriCorps opportunity, which sounded like a perfect fit. The Faribault Head Start Program. They were just starting a dual-language program that was part of a study through Mankato State University to examine whether starting early education in a child’s native language would have long-term benefits. I taught the dual-language courses and another AmeriCorps member, April, taught the same number of kids at the same Head Start, just in English. We were both working with pre-k kids for whom the majority were native Spanish speakers from Mexico and some other Central and South American countries. What was your experience – what sort of things were you doing on a day-to-day basis? I was working with the teachers on a broad level to incorporate immersion literacy skills, but I also worked with the kids one-on-one on literacy skills - things like naming and alliteration, using more natural learning processes rather than flashcards. 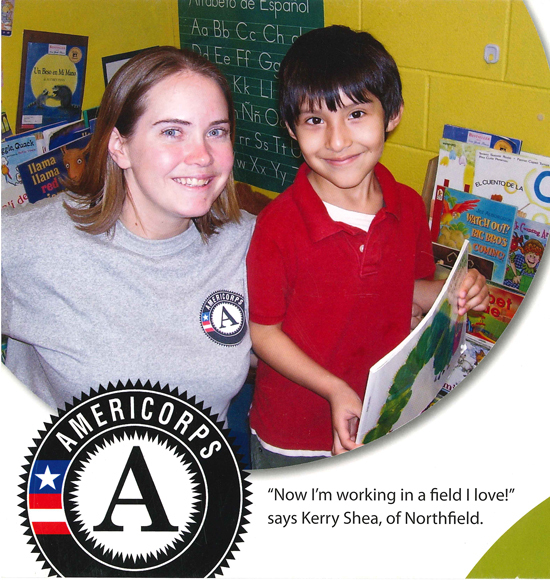 How did your AmeriCorps experience impact the trajectory of your career? I’m one of those people whose career has mostly been seeing opportunities and pursuing those things that are most interesting to me. When my AmeriCorps service ended, I ended up getting a job at the Faribault Head Start and stayed for two more years, the second of which they wrapped up the study. The professor, Dr. Durán, who had led the dual-language early education study relocated to Utah State, where she continued to study early interventions in early childhood education, language and literacy. She recruited me to begin my graduate program at USU, where I received my Masters in Special Education. My research with Dr. Durán continued my work with early literacy and Head Start. This past fall, I started the PhD Disabilities Disciplinary Program at Utah State within the Center for Persons with Disabilities. I’m specializing in Applied Behavioral Analysis, which is essentially the science of human behavior. My research and clinical work includes parent coaching, professional development, and early language strategies for children birth-3 with severe problem behavior or Autism Spectrum Disorder. My experience in AmeriCorps continues to influence my decision making and perspective. Early literacy and communication are integral parts of my interventions with young children. What was one of the most rewarding aspects of your time of service? It helped me realize the huge value of early childhood education; from an economic perspective, we can save a ton of money long-term if we can make behavioral adjustments and work on certain skills earlier. My current research is making it increasingly clear that it makes sense to use evidence-based practice as early as possible to have the biggest impact on the trajectory of kids’ lives. Working to resolve communication and literacy gaps at age two has an even bigger difference than you can get even in kindergarten or middle school. SMIF has had a long-term focus on early childhood development. Why do you think it’s important to invest pre-k education? Early intervention strengthens child development and family systems. The benefits are immediate and generational. It’s basically the best investment I think a community can make. Early intervention is especially important for children with developmental delays, like Autism. Working with little kids with autism is an exciting field to be in because we’re learning more and more each day. While fairly recently you couldn’t get a reliable diagnosis for autism until around age 7-8, it now may be possible as young as 6 months. This has huge implications: If you can do early intervention, you can teach skills that they’ll have for the rest of their lives.